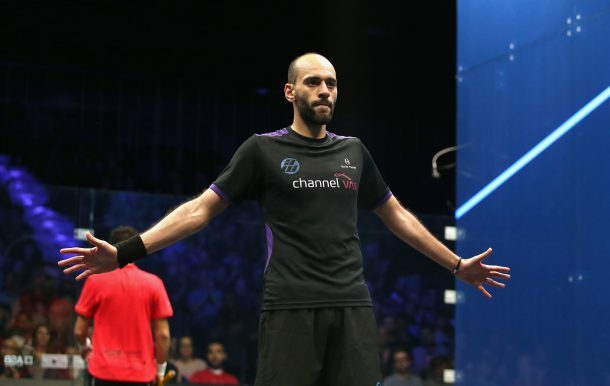 Egyptian squash players and brothers Marwan and Mohamed El Shorbagy qualified to the Windy City Open final game in addition to Nour El Tayeb who managed to reach the women’s final. In Chicago, Marwan El Shorbagy knocked out fellow Egyptian Ali Farag after beating him in 48 minutes 3-0 (11-6, 13-11, 11-7), while his brother Mohamed was able to defeat Tarek Momen 3-0 (11-9, 11-7, 11-5) in 45 minutes, which means that the two brothers will face each other for a chance to win the Windy City Open 2018 title. Farag’s wife and World No.3 Nour El Tayeb, however, secured her spot in the women’s final after defeating England’s Sarah-Jane Perry in the tournament’s semi-final after a thrilling 73-minute game as she won three sets of five 3-2 (11-6, 11-9, 3-11, 14-16, 11-7). El Tayeb reached the semi-finals with the biggest shock of the tournament after knocking out World No.1 Nour El Sherbini. An all-Egyptian Women’s final was possible, as Raneem El Welily faced New Zeland’s Joelle King, yet King defeated the Egyptian Pharaoh 3-2 (7-11, 11-7, 7-11, 12-10) in 60 minutes.